What Is The Definition Of Dead Puck In Hockey? 1. A dead puck is a term used to describe when a puck flies out of the rink and into the bench or crowd, or when a player catches and holds onto the puck. 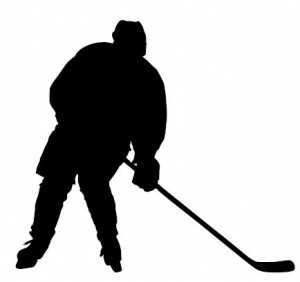 When a dead puck is called and the whistle is blown by the referee to signal that the play is dead, play can only resume when there is a face-off. The location of a face-off will be at the closest face-off circle from where the puck went out of play. If the puck flew out of bounds because it was deflected off the stick of the attacking player, then the face-off will happen at the face-off spot closest to the attacking player’s zone. 1. Johnson tries to clear the puck out of his zone in order to take more time off his opponent’s power play, but the puck sails into the bench and the referee rules it a dead puck. The team will resume play with a face-off by the bench.